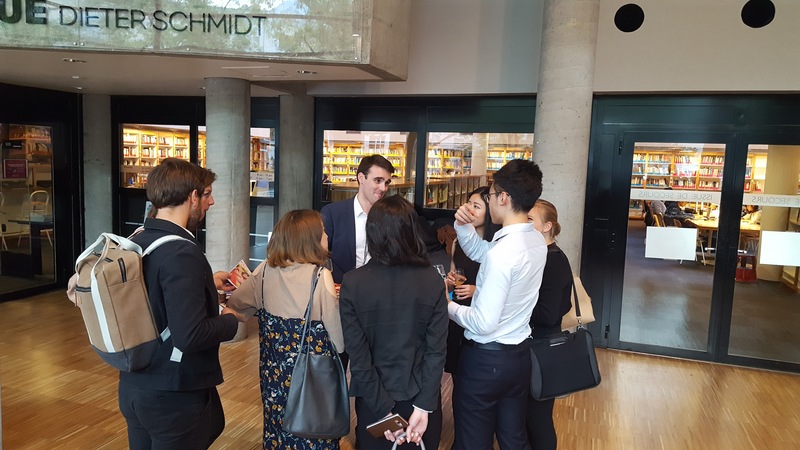 GEM finance society student Florianne Romanet reports back from Michèle Anclin (Transfer Pricing Manager), and Nicolas Maetz (Control Manager), who studied his Masters' at GEM. Michèle Anclin likes the fact that corporate finance allows to see her hard work come to fruition, especially with respect to the response and growth in the market. She even had the opportunity to go out into the field, challenge the employees to work harder, reassure them in their decision making, and answer their questions. She stressed the importance of interacting with them in person to understand their specific tasks better so she can give constructive advice, understanding the reality of the operational demands. Nicolas Maetz enjoys seeing how his work makes the company he works for evolve and prosper. Both of them then agreed on the fact that their job was to interpret numbers and make their interpretation accessible to others who (in the shop floor, in operations, etc.) need it for the company's tasks. Michelle and Nicolas stressed the importance of the pedagogic skills necessary to achieve this task, showing again that corporate finance is also about communication. Michèle Anclin told us about a mission she had in Bagdad, where she went to try and raise capital and enter the market. This mission is the proof that finance is not only how uninformed people picture it: people in penguin suits locked in a room, not interacting with anyone, only facing their figures and numbers on their computer. It shows how meeting people helps gaining in credibility and getting the investors' trust in your company's project to make them support it. In finance, communication is one of the most important skills. Our two interviewees then explained that triennially, people were encouraged to change their department or specialisation. This enables the employees to have a very diverse experience and constantly learn and teach notions, strategies, in their new teams. The importance of accounting knowledge was stressed, because it is important to judge the company's general direction and performance. Nicolas Maetz testified that work is more and more done transversally, without much intervention from his superiors. This is why he thinks teambuilding is also very important to optimize the team's productivity and motivation. Student associations, he reminds us, are a very good way to improve oneself in this respect.